Boundaries are very important. You must know what you are okay with and what you are not okay with. Without boundaries, you are setting yourself up for disappointment and pain. If you don’t want people to take you for granted, you have to know where your boundaries begin and end. It takes skill to develop and preserve your boundaries. No matter how hard it has been for you to stick to your boundaries, take heart and trust that it is a skill you can easily develop. You can’t set your boundaries without knowing who you are. Knowing yourself implies that you have to identify what matters to you and what your values are. It helps to develop a deeply introspective approach in general. Analyze what feels good to your heart and what doesn’t. Making your feelings an emotional thermostat for analyzing your boundaries is a good place, to begin with. Generally, anything that doesn’t feel good to your heart should give you the cue that the other person’s actions are violating your boundaries. Don’t fool yourself by trying to justify their actions if the little voice inside your heart tells you that something is amiss. Remember that the wisdom of the heart is always far superior to the logic of the mind. Give your heart more credit for everything it knows. You have to identify and set your boundaries in all key aspects of life. This means that you must know what your physical, emotional, mental and spiritual limits are. Identifying and understanding your boundaries is already the job half done. As ironic as it might seem, most people go through their entire life not really knowing what their boundaries are. They constantly express great disappointment when someone says something or acts in a way that is not really acceptable to them. They also make the mistake of seeing it only as a one-time instance, instead of understanding that the words and actions of the other person were actually a violation of their personal boundaries. Therefore, I’d advise that while determining your boundaries, you go back to all those instances in your life when you felt deeply saddened and hurt by the words or actions of another person. Ask yourself why it hurt you so much and are you willing to let something like this happen ever again? You have to make sure that others know what your boundaries are. Sometimes this can be achieved by being subtle and indirect. However, other times it may call for a far more direct approach. Usually, when two people are similar in their communication style and socio-cultural background, a subtle approach can be quite effective. On the other hand, if people hail from different socio-cultural backgrounds and have distinctly different communication styles, then a direct approach is the best. If anything happens that makes you uneasy, you must make sure that the other person knows how you feel about their behavior. Of course, this is not always easy. 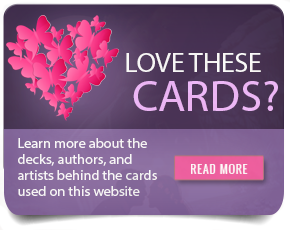 There are risks involved as it can change the dynamics of your relationship with the other person. However, this is where it becomes very important to ask yourself what you are willing to live with and what you are not willing to take on your stride. When you bestow sincere appreciation and thank the other person for the good things they are doing, it instantly puts them at ease. Besides, when you talk about your feelings without any blame, it allows them to truly listen to you without getting defensive. 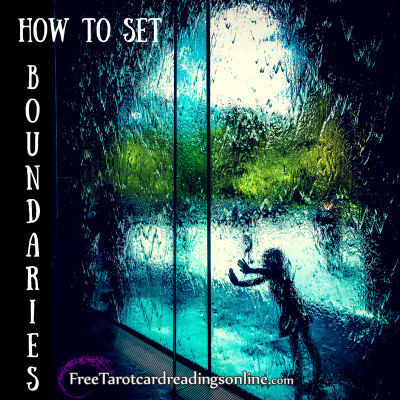 Of course, setting boundaries is no easy task. You will have to deal with a lot of difficult emotions that might come up while you are trying to enforce your boundaries. Don’t forget that nothing worthwhile is ever easy. You have to exercise patience and constant self-awareness. 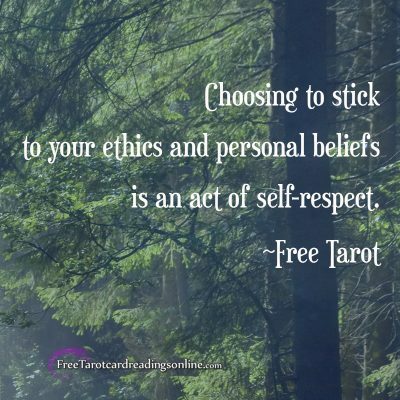 Choosing to stick to your ethics and personal beliefs is an act of self-respect. You can’t give to others what you don’t have for yourself. If you don’t love yourself, then you can’t fully love another person either. You are your greatest responsibility. Looking after your needs and providing for yourself is not an act of selfishness but one of self-care. Give yourself room to be yourself. Stay assertive when communicating about your boundaries to others. It might take the time to identify and set your boundaries. Start small but remain steady.